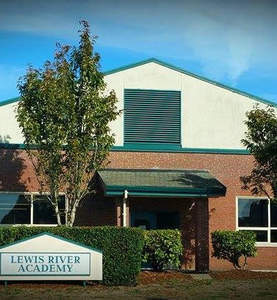 Lewis River Academy is a tuition-­free K-­8 alternative public education program hosted by Woodland Public Schools. Woodland is located at the confluence of the Lewis and Columbia Rivers in Southwest Washington. Woodland Public Schools are where community and learning connect. We are proud of the support our community provides each year to make a difference in the lives of our students. Lewis River Academy recognizes and supports family choice education where parents are the first and most important educators for their children. Lewis River Academy's comprehensive K-8 program provides young minds with a learning environment like no other. We combine dynamic curriculum, teaching and support, a strong community, and special services into powerful, effective schooling, making the total experience greater than the sum of the parts. Our teachers are available for one- to-one student/family learning support and offer general courses like hands on science. Our K-8 program is located on the Woodland Public Schools campus allowing us to offer our students access to art, music, physical education, and other electives courses taught by highly qualified educators. Through Lewis River Academy families can enjoy the benefits of being highly involved in their child's learning while accessing the resources made available to all public school students in the State.